Bay Crossing in Lewes is the only active adult community in Coastal Delaware located east of Route 1 with easy access to the resort towns of Lewes and Rehoboth Beach, two-and-a-half miles and five miles away respectively. 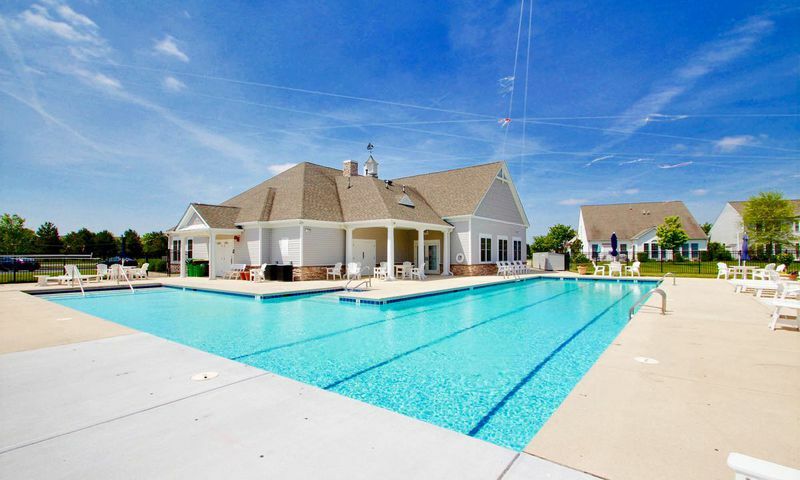 This Delaware 55+ community features mature landscaping and open spaces throughout. Scenic ponds and fountains provide a serene environment. Buyers have a choice of attached or detached single-family homes with a wide array of interior and exterior selections. Upon completion, this charming community will be comprised of 256 homes. Bay Crossing is a very active community conveniently located to all major routes leading in and out of the resort area. Bay Crossing in Lewes is also admired for its spacious homes and friendly people. The well-designed 5,735 square-foot clubhouse is the social hub of Bay Crossing. Residents can stay healthy and fit by using the exercise room with aerobics studio. Hobbyists will enjoy the card and craft rooms which can be used for individual pursuits as well as group meetings or classes. Residents can get together to play friendly games of billiards or enjoy some quiet time with a favorite book from the well-stocked library. A ballroom is host to many social events throughout the year. Outdoors, residents can simply enjoy nature by taking relaxing strolls along the walking trails or pursue activities like tennis and bocce ball. Bay Crossing also has a wonderful outdoor pool perfect for refreshing dips and for relaxing poolside with friends and family during hot summer days. Pulte Homes started construction of Bay Crossing in 2005 and currently, Blenheim Homes has taken over development with plans to complete the community with 256 homes. There are 84 attached homes that range from approximately 1,927 to 2,227 square feet in size. Pulte's attached homes are available as resale only and have two bedrooms and two bathrooms with first-floor master suites. Pulte also developed single-family homes that are available as resale only as well. These homes have two to three bedrooms, two bathrooms, and an attached garage within 1,823 to 2,381 square feet. Blenheim Homes offers single-family homes that are between 1,300 and 2,400 square feet of living space with two to three bedrooms, two bathrooms, and an attached garage. Although this is a smaller community, residents of Bay Crossing are very active and keep a very busy social calendar filled with scheduled events, classes, and interest group meetings. Committees comprised of residents manage the clubhouse and activities for everyone's enjoyment. Some of the organized interest groups at Bay Crossing are men's club, ladies' club, golf club, bocce ball, Bay Crossing walkers, Mah Jongg, Mexican Dominoes, movie group, and billiards. Bay Crossing in Lewes, Delaware is conveniently situated near multiple retail locations, home improvement stores, and movie theaters, all located on Route 1. In only a few minutes, residents can venture into Lewes' Historic District with its quaint shops, museums, inns, and charming restaurants. Just outside of Lewes, Cape Henlopen State Park beckons with its beautiful beaches, nature trails, and bird sanctuaries. The Lewes area is also perfect for outdoor sports enthusiasts. Fishing, crabbing, hiking, biking, bird watching, and boating opportunities are all scattered throughout the area. For wine connoisseurs, Nassau Valley Vineyards is a great locale and offers tours and wine tasting events. Dover, Delaware can be reached in less than an hour and is perfect for taking day trips. Clubhouse - 5,735 Sq. Ft. There are plenty of activities available in Bay Crossing. Here is a sample of some of the clubs, activities and classes offered here. Blenheim offers new and resale single-family homes that range from 1,300 to 2,400 square feet in size. All homes have at least two bedrooms, two bathrooms, and an attached two-car garage. The Clipper and Schooner models are no longer available as new construction. There are 84 attached homes inside of Bay Crossing. Attached homes are available on a resale only basis. These homes feature approximately 1,927 to 2,227 square feet of living space. Generally, most attached homes have two bedrooms, two bathrooms, and attached two-car garage. These were designed for active adults with first-floor master suites with walk-in closets and lofted second levels for guest bedrooms. Please Note: Attached floor plan images are not available at this time. Pulte built several single-family homes within Bay Crossing that offer one-level living with first-floor master suites. These low-maintenance home options have about 1,823 to 2,381 square feet of living space and are available on a resale only basis. Most of the single-family homes built by Pulte have two to three bedrooms, two bathrooms, and an attached two-car garage. Please Note: Not all floor plan images are available at this time. We bought our home at Bay Crossing in 2010 and are very happy with it and the community. Our home backs to a wooded area so it's very private. The clubhouse is sufficient for our needs and has everything we wanted. You can't beat the location. 55places.com is not affiliated with the developer(s) or homeowners association of Bay Crossing. The information you submit is distributed to a 55places.com Partner Agent, who is a licensed real estate agent. The information regarding Bay Crossing has not been verified or approved by the developer or homeowners association. Please verify all information prior to purchasing. 55places.com is not responsible for any errors regarding the information displayed on this website.